Any free days for aquarium ? If you are a Massachusetts resident or visiting one, get a BPL card and try to get a free pass through the library. 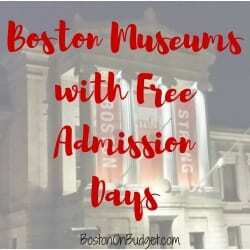 Many other libraries do $10 passes if you can’t get it through Boston.